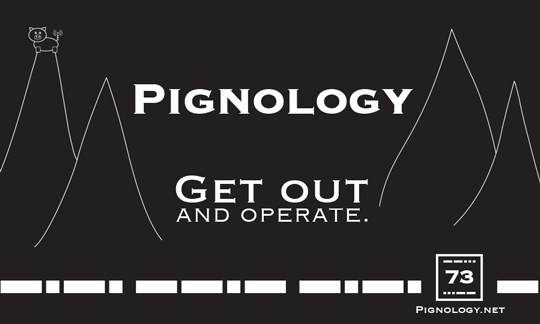 Pignology is a small operation focusing mostly on amateur radio. The company was formed in 2011 when the idea for Pigtail came about. It’s most popular app, HamLog, was released in March 2009 and is constantly updated to add features and functionality. Many of the apps in Pignology’s portfolio are related to portable radio operations, QRP. If you run into any problems with any of the apps or have any feature requests, please get in touch with Nick using the Contact link above. Pignology, LLC is a small app and hardware development company focusing on amateur radio and portable operations. Get out and operate!